This beautiful dead sea mud masque combines glycolic acid, zinc oxide and dead sea mud for ultimate oil and pore control performance. It can be used on all skin ~ including sensitive skin ~ for oil control, detoxification and skin hydration. Dead sea mud is a unique type of mineral rich clay that is hugely beneficial for the skin. In dermatology Dead Sea Mud is known as the most superior and multi-functioning of the clays because it can detoxify, hydrate and rebalance the skin all at once. It is rich in potassium, magnesium and sodium and has been used for centuries for skin detoxification & therapy. In fact Dead Sea Mud contains 21 natural minerals, 12 of which are found exclusively in the Dead Sea. Minerals, like vitamins, are essential for your skin’s metabolism. Used in masques, Dead Sea mud helps draw out impurities and control excess oil (sebum) in the skin. This masque also contains zinc oxide and glycolic acid. Zinc Oxide has been used in dermatology for years to help calm skin inflammation and help reduce sebum production. Glycolic acid is an Alpha Hydroxyacid (AHA) that helps remove redundant skin cells and unwanted cellular debris. This masque is a powerful tool for anyone with acne, excess oil, enlarged pores or dull skin that needs detoxification, rejuvenation or brightening. *Can be used in pregnancy for treating spots & hormone related breakouts. Use 2-3 per week. *Can be used safely in pregnancy for treating spots & breakouts. Use 2-3 times per week. 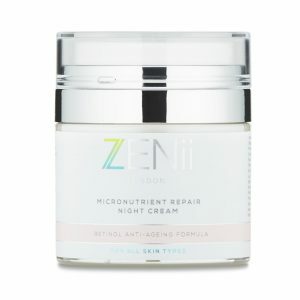 Ingredients: Aqua, Kaolin, Caprylic/Capric Triglyceride, Propylene Glycol, Glyceryl Stearate SE, CI 77947, Cetyl Alcohol, Glycerin, Maris Limus Extract, CI 77891, Glyceryl Stearate, PEG-100 Stearate, Glycolic Acid, Cera Alba, Isopropyl Palmitate, Aloe Barbadensis Leaf Juice, Citric Acid, Panthenol, Sodium Cocoyl Isethionate, Phenoxyethanol, Decylene Glycol, Caprylyl Glycol, Sodium Benzoate, Potassium Sorbate, Melaleuca Alternifolia Leaf Oil, Lavandula Angustifolia Oil, Linalool, Hexyl Cinnamal.